Whew! It’s been a while since I’ve done a Wedding Wednesday post! But I’m super excited to be back on the bandwagon and ready to go again. I still have all sorts of great wedding inspiration to share with all of you wedding planners and daydreamers (and Pinterest-ers!) out there. And I’m actually really excited about today’s post because it features two of my favorite things lately – travel, and the Marriott! As you all may or may not know, I have lived in a Marriott hotel on several different occasions: once when a neighbor drove his car into my roommates bedroom, and a second time when something died under the house and the smell was…well, deathly. Captain America and I also stayed in one of the nicest hotels we’ve ever been to, the J.W. Marriott Starr Pass Resort & Spa in Tuscon during our last vacation. Needless to say, the Marriott chain of hotels has definitely earned our repeat business! Now, I haven’t always been a big fan of travel, but ever since our successful 3,000 mile trek across three states last June I’ve become a convert! It was a ton of fun, and both Captain America and I have been itching to do something similar again. We actually just sat down to finally discuss the specifics surrounding our honeymoon (it got postponed for several reasons which are unimportant at the moment, more on that later) – and of course when we discovered a J.W. Marriott located near our destination, I knew exactly where we had to stay! Ooooh man, I can’t wait to relax! But it also got me thinking – why wait until the honeymoon to get pampered? Planning a wedding is one of the most stressful events a couple can take on, and it’s not just stressful for the bride and groom – in laws, bridesmaids, groomsmen – everyone surrounding the couple pitches in to help; and in the end, everyone involved may find themselves feeling more than a little frazzled. That’s where the beauty of a destination wedding comes in! Not only do you get to celebrate in a beautiful and relaxing location, but more often than not your destination location will have wedding/event coordinators who are trained in the art of planning and who will be able to advise you – and take some of the pressure off you, your bride/groom, and the rest of the wedding party and family members! What better way to start off your life together as newlyweds than relaxing in your dream destination with everyone you love there to celebrate with you? Chances are – in this day and age anyways, with people scattered all over the globe – that most of your guests will have to fly out to meet you anyways, even if you host it in your own backyard – so why not get together in paradise, instead? From there, it’ll only be a hop, skip, and a jump to wherever your honeymoon leads you. Are you or someone you know considering a destination wedding? 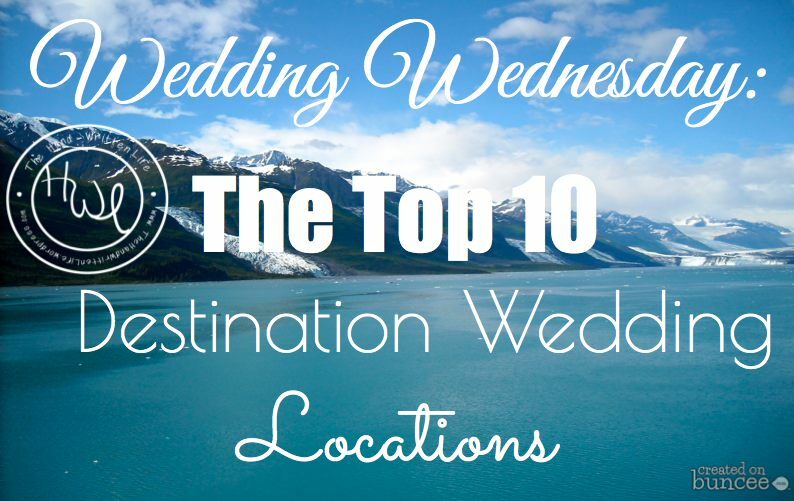 Where is your ideal wedding location? If you’re already married – did you have a destination wedding? What factors influenced your decision? Were you pleased with your choice? For guests – have you ever been to a destination? What were the pros and the cons? Neither Andrea Kelly, nor The Hand-Written Life received any form of payment for the endorsement of Marriott International. The views expressed in this blog are entirely the author’s own. ← Resolve 2014: How Will You Create A Change This Year?